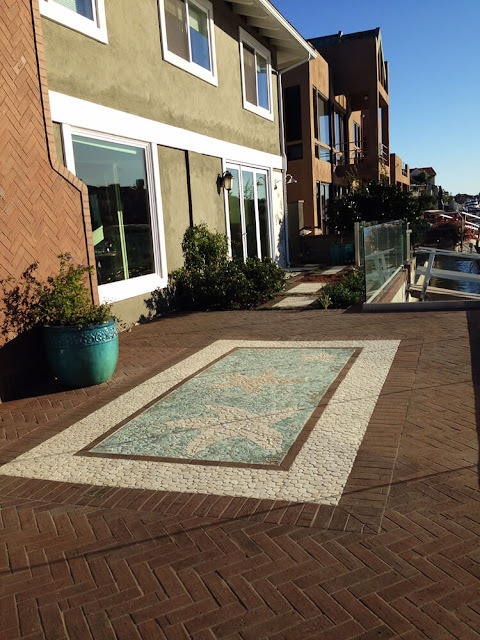 Nautical Mosaic Murals Inside and Out! Earlier this week we posted about a custom fire circle that is definitely a must-see! Today we're going to keep the new installation photos coming! Check out the photos below! Here's a custom mural we made following the more traditional 'mosaic' style! 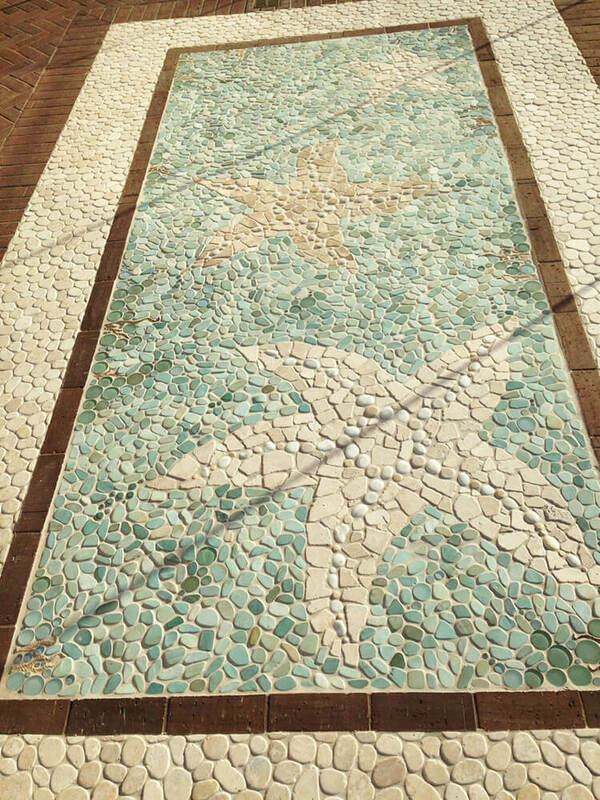 We created three larger-than-life starfish using various pebbles and skipping stones. Here's a closer shot of the huge starfish mural! In this photo you can see how the starfish were actually made! You can also see kelp placed around the edges! In this photo you can see our custom mural based on our "As The Tide Goes Out" mural installed above a stainless steel oven! 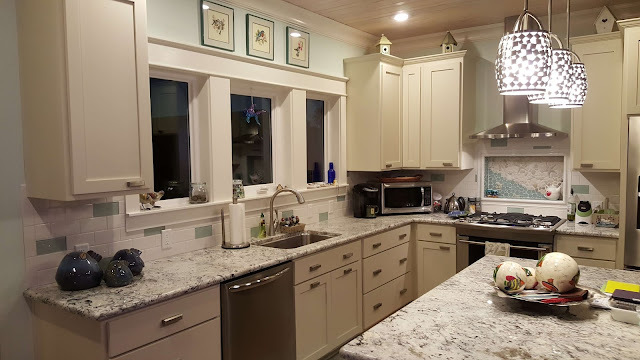 This is such a beautiful kitchen! This mural is also based on our "As The Tide Goes Out" mural but slightly wider. 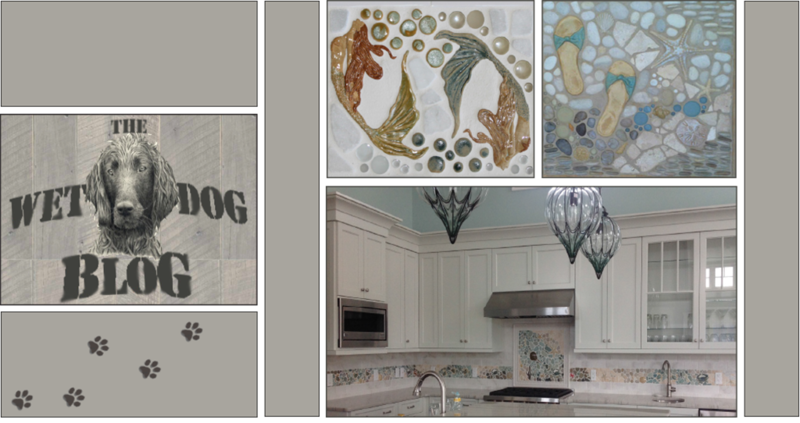 This one is installed above a beautiful farmhouse sink! We've been uploading new installation photos to our Photos and Ideas page almost every day and will continue to for the next week or so! Check out that page to see photos you won't catch on our blog!